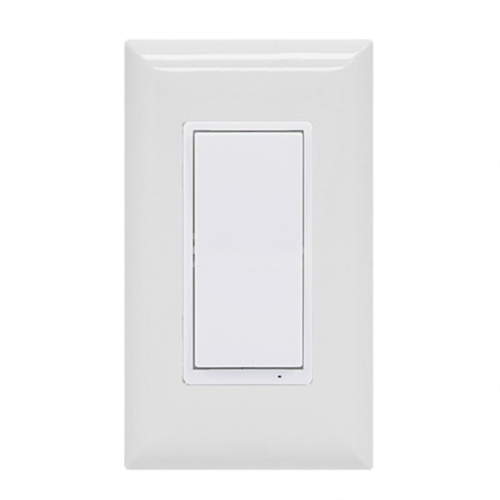 Automate your lights, fans or small appliances with an in-wall on/off switch. 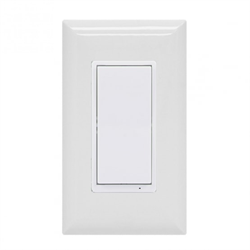 The switch can be used alone or as part of a lighting scene(s) for convenient control of multiple lights and moods from a single remote button press. 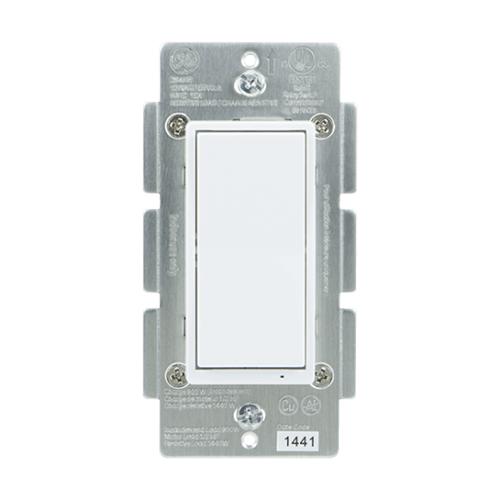 A built in LED indicator light shows location in a dark room. 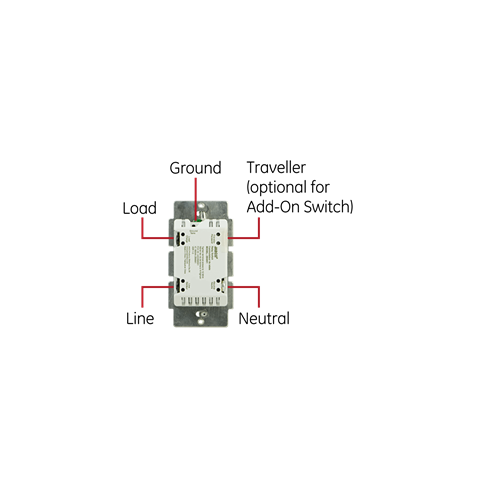 This switch can be used in a single pole, 3 way or multi-way installation by adding a GE/Jasco remote switch as needed. A white paddle is pre-installed, with a light almond colour change paddle included in the box.